And that’s true! People who take Social Security before their full retirement age (FRA) will see smaller monthly checks than if they’d waited until their FRA or beyond. FRA is determined by the Social Security Administration (SSA), and it’s based on your birth year. The FRA for people born between 1943 and 1954 is 66, it’s 67 for people born in 1960 and after, and for those born between 1955 and 1959, it’s some combination of 66 and a certain number of months. In other words, if you would be receiving $2,000 per month in Social Security at your FRA of 66, but you decide to start collecting benefits as early as possible at age 62, you’ll receive just 75% of that total, which amounts to $1,500 . The benefits will be 80% of the FRA level if you retire at 63, 86.7% if you retire at 64, and 93.3% if you retire at 65. Your benefits will remain reduced for life if you start claiming benefits before reaching your FRA. This drastic drop in benefits is one of the reasons financial advisors often advise people to delay claiming Social Security benefits as long as possible. Another reason for waiting is that benefits rise roughly 8% annually between the time you reach your FRA and age 70. So if your FRA is 66 and you wait until 70 to claim, you’ll permanently receive a monthly check amount that’s 32% higher than if you’d started drawing benefits at your FRA. The bonus maxes out at age 70, so by waiting until you reach that age, you’ll maximize your benefits. While the average life expectancy for Americans is currently over 78, according to the U.S. Centers for Disease Control and Prevention, your individual situation may be different. If your family history indicates that your life may be significantly shorter than 78 years, it may be wise to start claiming benefits early. Otherwise, delaying benefits may leave you short-changed, when you don’t live long enough to enjoy those bigger checks from delaying. While it’s not possible to pinpoint an individual lifespan, for the purpose of an example, let’s assume that no one in your immediate family has ever lived past 70 — a pattern you’re likely to follow. 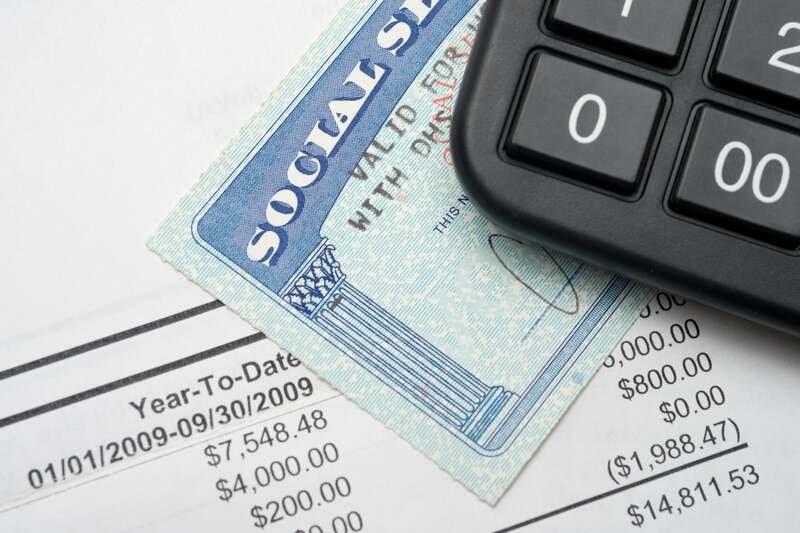 Your Social Security benefit would be $2,000 at your FRA of 66. If you take Social Security at your FRA, and you die at age 70, you’d have received $24,000 per year in Social Security benefits for four years, or $96,000. But, if you decide to take the reduced benefit of $1,500 at 62, you would get $18,000 per year for eight years, or $144,000. Your payout over your lifespan would be considerably more by taking Social Security at age 62. If you’re eligible for a spousal benefit, you can take it at age 62 , as long as your spouse is receiving Social Security benefits. Spousal benefits are intended for spouses who earned meaningfully less than their spouse over a lifetime, and is designed to supply up to 50% of the primary breadwinner’s Social Security benefit amount. Spousal benefits will be reduced if they are taken before the lower earner reaches his or her FRA, but unlike regular benefits, the check amounts do not rise if they are delayed beyond the higher-earner’s FRA. Also, spousal benefits do not affect the amount the primary breadwinner receives in their regular Social Security benefits. Here’s an example of how it works when one spouse has not worked for wages: The higher-earning spouse receives $2,000 at an FRA of 66 and the lower-earning spouse receives no Social Security benefits, as they have never worked for wages, instead raising the family at home. The lower-earning spouse could earn 50% of the higher earner’s benefit, or $1,000, at their FRA. The couple’s income would thus be $3,000 if both delayed until their FRA. If both spouses worked, though, the SSA bases each person’s Social Security benefit on each spouse’s own work record. Working spouses can still receive the spousal benefit, as long as their own benefit is less than 50% of the higher-earning spouse’s benefit. For example, take a couple where the higher-earning spouse is entitled to $2,000 at FRA, and the lower-earning spouse is entitled to $500 at FRA. Since the lower-earning spouse’s benefit is less than 50% of the higher-earning spouse’s benefit, the lower earner could receive a spousal benefit that brings their total up to 50% of the higher-earner’s benefits. In this case, a $500 spousal benefit, plus the benefit on their own record, would bring their individual total to $1,000 at FRA, 50% of the higher-earning spouse’s benefits. Let’s see one more illustrative example, with a lower-earning spouse whose own record provides a benefit above 50% of the higher-earning spouse’s. Say the higher-earning spouse receives $2,000 at FRA and the lower-earning spouse receives $1,200 of Social Security benefits at FRA. In this case, the lower earning spouse would not be entitled to a spousal benefit at any age, because $1,200 is more than 50% of $2,000. There’s one last wrinkle here. Folks entitled to spousal Social Security benefits and benefits on their own work record can choose to take only the spousal benefit if they were born before Jan. 2, 1954. If these individuals take the spousal benefit at 62, it will be subject to the 30% reduction, but there is an advantage: Both the individual and his or her spouse could theoretically delay taking Social Security on their own work records, thereby ensuring they receive the roughly 8% yearly hike between FRA and the age of 70. This allows for the maximization of benefits while receiving some payment, though, this is not an option for people born on Jan. 2, 1954 or later. Previous articleShould central banks be more active in managing integrity risks? Next articlePar Value vs. Face Value: What’s the Difference?